The challenges, roadblocks and obstacles of life will always be there but some people are born to win! 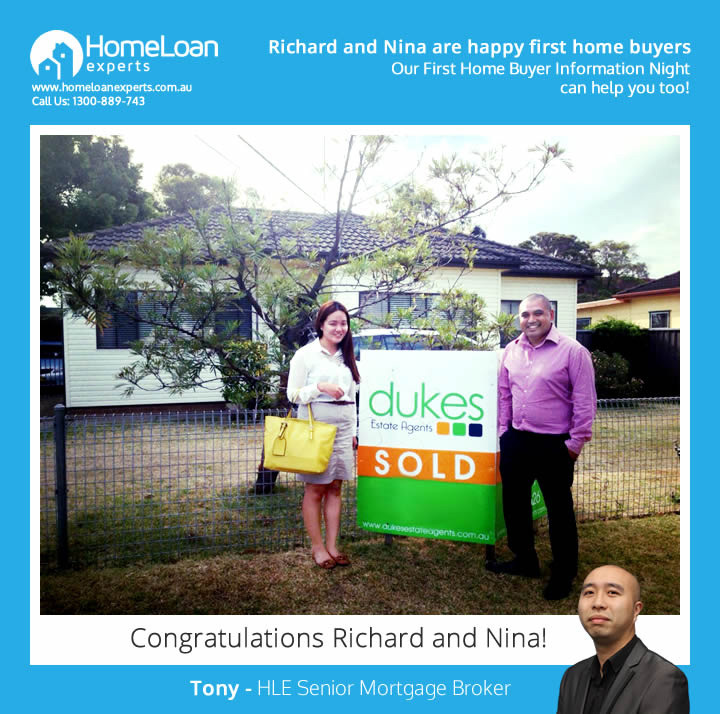 Hear the amazing story of Richard and Nina, a couple struggling with personal debt who were finally able to fulfill their dream of owning a home after putting their trust in mortgage broker Tony Dao. With Tony’s help, they were able to purchase a house with no deposit! I just wanted to extend my biggest thank you and appreciation to Home Loan Experts. Because of you guys, me and my husband finally have our own home. It has been a dream for us for a long time to be able to buy and I still cannot believe that we actually did it. Saw your ad in Facebook last September, spoke to one of your brokers, attended the first home buyer info night and the rest I would say is history. I also wanted to commend one of your brokers, Tony Dao. He guided us every step and provided ultimate assistance throughout the process. Our financial situation is a challenge for Tony but nevertheless he gave anything under his control to make it happen for us. I have recommended Home Loan Experts to my friends who are still trying to buy their own home and also encouraged them to attend the information night. All the best to you and your team and may you help more individuals/families out there to get their dream home. Just like how we got ours. Register for our First Home Buyer Information Night to learn how to get approved for a loan and how to buy a property. Our team of expert mortgage brokers will be there to answer all of your questions. Alternatively, please call us on 1300 889 743 or enquire online so we can help you get your home loan application approved. arrow_backWhat Makes A Good Credit Score?